I know, I know, it’s not even close, and I’m already talking about my seasonal book, The Chrismas Heart. But, you know, the early bird gets the worm. 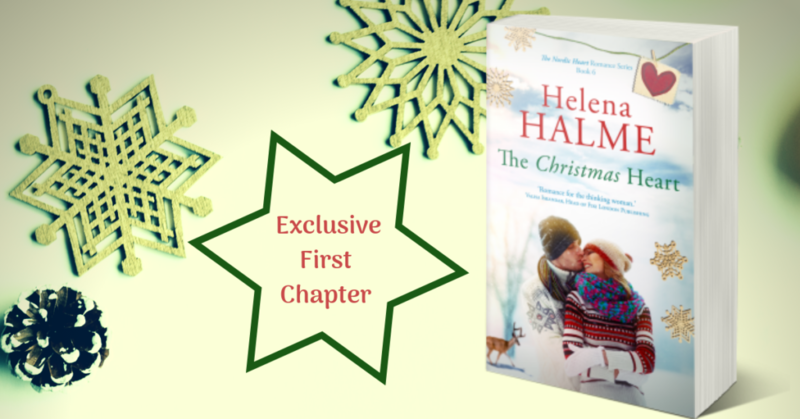 😉 So, for those of you who are as excited about my new book as I am, here is an exclusive first chapter from The Christmas Heart. If you haven’t yet read The True Heart don’t read this chapter! 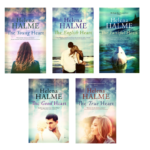 Like all the books in The Nordic Heart Series, this one is also a stand-alone story, but if you are reading the novels in order, I’d wait until you’ve read The True Heart, Book 4 in the series, before delving into The Christmas Heart. Kaisa is now in her fifties and doesn’t expect to ever fall in love again. At the same time, in the same small resort, a certain old flame called Tom is also planning to spend the holidays with his best friend, Ricky. 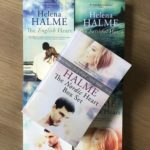 When Tom and Kaisa meet, sparks fly and Kaisa begins to rethink her future. But can she trust Tom, who had a dubious reputation as a womaniser – a player – at university? 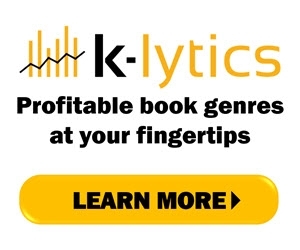 Here is the first chapter from the book, I hope you enjoy it! The lift came to a sudden halt and Tom cursed under his breath. He hated anchor lifts, while the Scandinavians seemed to love them. In the Alps, where he usually skied, they had the good sense to invest in gondolas, in which you could ascend the mountains with some style and no effort. And it was so bloody cold. He’d seen from the large thermometer at the ski hire centre that it was -15C. His carefully groomed stubble was now white and brittle with frost, his lips dry, his cheeks burning from the chill wind cutting into the mountainside. The lift suddenly started again. Slowly, oh so slowly, Tom, perching alone on the two-seater bar, ascended the mountain. He cursed his old friend – why come to a ski resort for the holidays if you want to stay in bed half the day? When Ricky hadn’t showed up at breakfast that morning Tom had sent him a WhatsApp. When he replied – 15 minutes later – he said he was having a lie-in and would meet up with Tom later. Finally, at the top of the small mountain, Tom freed himself from the lift and skied towards the slope. He’d had the foresight to take a piste map from the hotel reception. Åre was different from how it had been in his youth; new slopes had been added and some of the old ones redesigned. He was on his way to one of the few pistes that was served by a proper lift. There’d been a pretty blonde behind the desk of the hotel and he’d stopped himself from flirting with her just in time. She’d looked barely twenty, and more suitable girlfriend material for his sons than him. Oh, how drab and boring it was to be an old man. He thought about his family, the two boys, Luca and Marco, now 21 and 24, who were in Milan for Christmas with Emma, his ex, and her new husband. He was not welcome at that gathering. Truthfully, he would rather be here with the Nordic winds nearly cutting the nose off his face, and with a potentially embarrassing rendezvous on the horizon, rather than with his loud, disapproving in-laws and the oh-so-wonderful George. He missed his boys, of course, but he’d see them for New Year, when they’d promised to spend a couple of days with him in his new flat in Helsinki. If only his mother hadn’t been taken so suddenly six months ago, he would now be enjoying a luxurious celebration in her central Milan flat. How he missed her! Oh, well, he thought, as he spotted Father Christmas, his red costume flapping in the wind, zigzagging at speed down the pathetic little mountain – a hill really. He’d go along to the date, have a meal with her, give her a kiss goodnight afterwards and then never see her again. 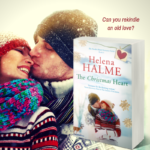 The Christmas Heart is now on a limited pre-order offer at just $0.99 (£0.99/€0.99). Please do hurry if you’d like the book at this special rate, as the price goes up on 25th October. 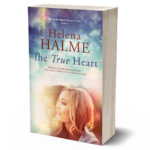 It’s Launch Day for The True Heart!